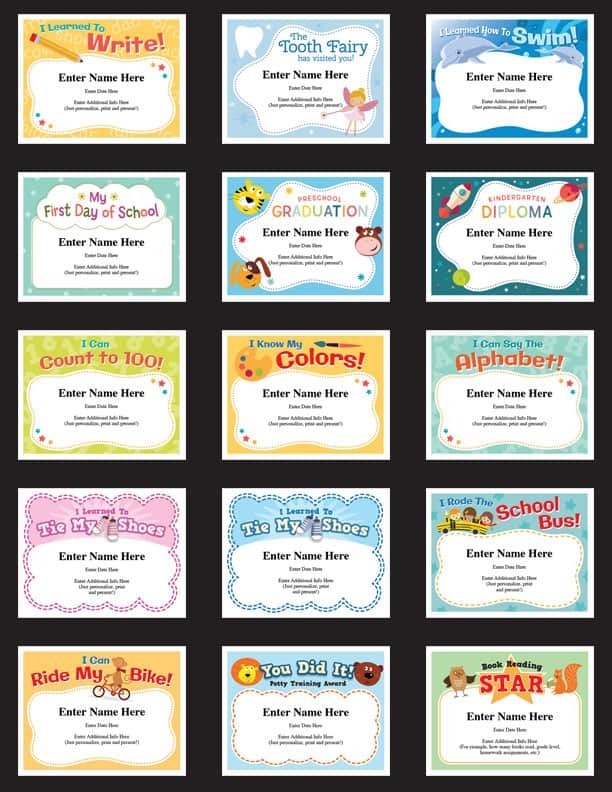 Kid Certificates Milestones – 15 awards to recognize some important days in a kid’s life. “Kindergarten Diploma” certificate, “I can count to 100” certificate, “I rode the School Bus” certificate, “Book Reading Star” certificate and others. When you purchase you’ll receive a PDF file that can be used on Mac’s or PC’s. Use them year-after-year for multiple teams – it’s a great deal! 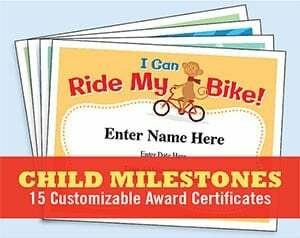 Personalize these kid award certificates templates with kids’ names, the date, and your own words of praise. Designs are set to work on standard 8.5” x 11” paper. Fun, stylish and a lasting keepsake of the big days in a child’s life! • Quick and easy to do. You just type in your text, print and you’re good to go. Personalize, print and present. Super simple and the certificates looks very polished and professional. What’s not to like? 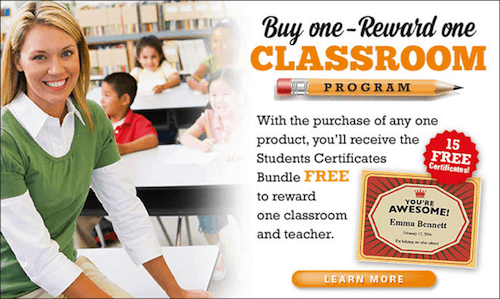 Buy these Child Milestones Certificates and reward your favorite teacher! 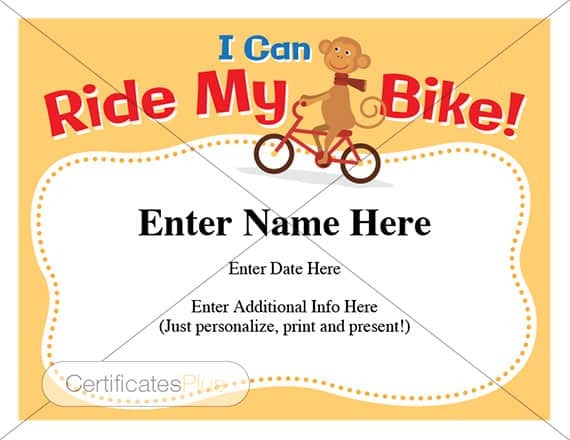 Certificates print out on standard 8.5 x 11″ paper without X and watermark.